The quality is great and looks amazing in the space it was intended for! 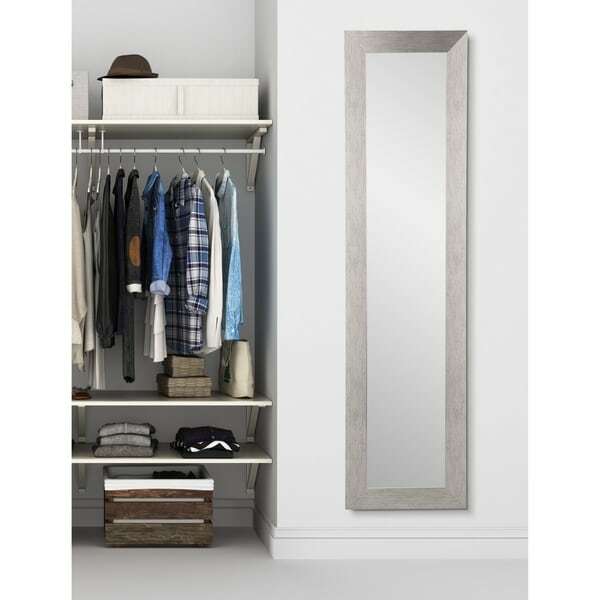 Achieve style and functionality with this full-length mirror. This floor mirror has a modern 3-inch frame that perfectly complements surrounding decor and boasts a polished wood-grain silver finish for a modish look. Dimensions 0.75 In. X 21.5 In. X 71.0 In.